Hiring a quality paint contractor such as Ridings Custom Painting, Inc., can mean the difference between painting every few years or a paint job that will far outlast an inferior one. At Ridings, we can say, “YES” to the following questions. Our competitors may not always be able to say the same. It is worth checking out. Did you receive a written estimate? The scope of work should be clearly defined including areas to be finished, type of material, coverage of coats, and special surface preparation. Does the work include a warranty? Ridings performs work we are proud to stand behind for years. Our standard warranty is 3 years (Some exceptions apply). Has the company been in business for five years or more? Statistics indicate that most contracting failures occur within the first five years of operation. Ridings has been in business since 1985. Will the work be performed by full-time employees? Competency of personnel and quality of work is often questionable with seasonal or temporary help. Ridings employs full-time, year round painters, with a company combined “brain trust” of experience of over 150 years. Were recent and long term references offered? References help you determine the contractor’s ability to perform. Ridings offers a couple of pages of references. 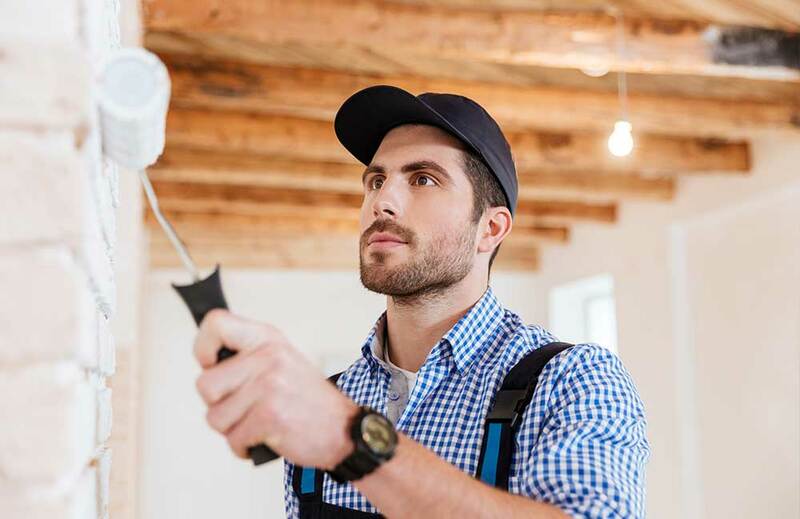 Is the contractor properly insured? You may face the risk of having to insure a potential accident at best, or at worst, you could be facing a lawsuit. This does not mean general liability alone–you should also see proof of Worker’s Compensation, bonding and a minimum of $2 million aggregate liability insurance. Does the contractor offer low and no VOC paint products? Ridings offers our clients low and no VOC paint products for the health of their families and the environment. Does the contractor comply with environmental regulations (EPA) and safety of employees (OSHA)? Does the contractor use only contractor grade ladders? Are they safe and do they follow safe work practices as outlined by OSHA? Do they have a safety program? Does the contractor have the ability to work with various paint stores? There is no one paint source to provide all your paint needs. A quality contractor will have the ability to purchase materials from many sources to best fit your project’s needs. Ridings has been in business since 1985. We are proud to have stood the test of time in good times and bad. We look forward to assisting you, your family, and friends for many years to come!